It’s time for you to control every aspect of your data. Digital data is rapidly becoming one of the most valuable assets in our fast-growing digital era. Although our data is worth potentially millions of dollars, we don’t get to see any of that money because we don’t own our data…until now. PMES gives you a way to claim your data and digital assets in a public, trustless forum. But before we get into what PMES is and its benefits, first you must understand blockchain. Blockchain has become quite the revolution in the tech world and is shaping up to be the future of recording transactions and is even being referred to as the new web 3.0. 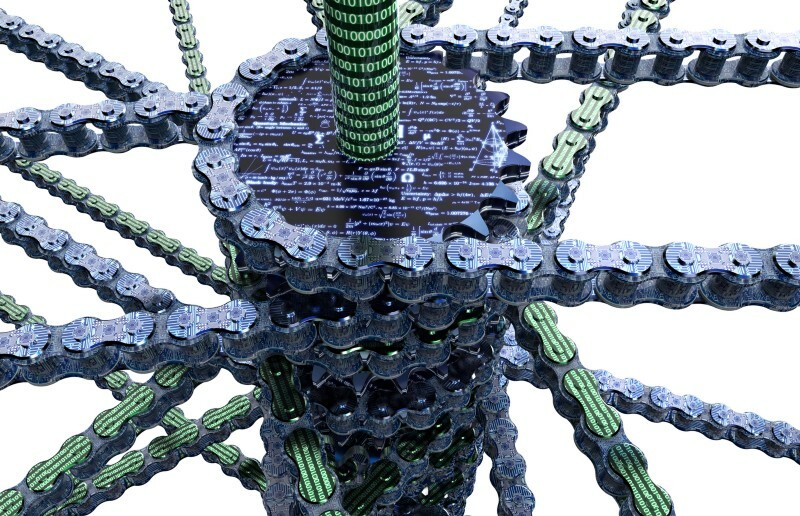 In simple terms, blockchain is a decentralized, public transaction ledger that can be written with new information (in blocks), but the previous information cannot be altered or deleted. 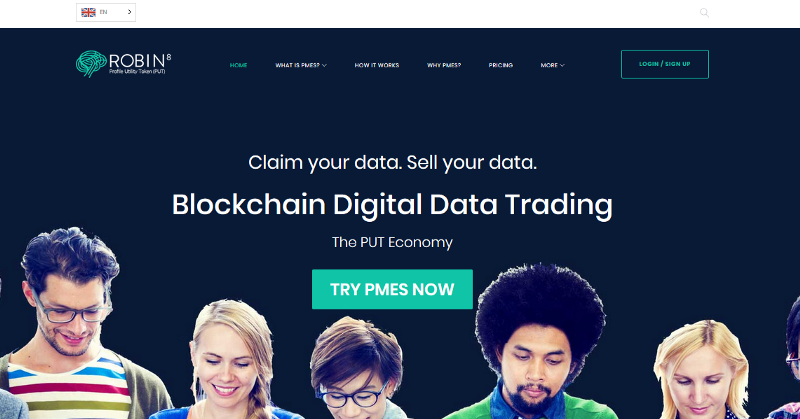 PMES is a disruptive technology that put data ownership back in the hands of the individual so they can monetize their data and digital assets. PMES gives people a secure way to claim ownership over their data and digital assets by recording it on the blockchain. Use PMES to buy / sell access and rights to digital data. PMES is an intermediary site offering a user-friendly interface to easily create a library of digital assets that are added to the blockchain with just one click. PMES users can sell their assets to other users based on the price they set as well as buy assets from other PMES users. Purchases are made in the PMES digital wallet using PUT (Profile Utility Token by Robin8). This is a screenshot of the PMES Marketplace. Users can view what others have placed on the blockchain. A new feature we are currently working on will be the first blockchain social media platform where users can follow each other and see a “Favorites” feed showing a marketplace only from their followers. What can I upload to the blockchain? Think of it like an ecommerce store except you have complete control and there is no third party; it’s all peer-to-peer. PMES just acts as an intermediary giving users a platform to easily post information to the blockchain and then sell/buy digital assets and information. With that being said, the information that is added to the blockchain does not necessarily need to be for sale. An inventor could upload their invention idea which then goes on the blockchain and can never be removed or altered — this is like an ultimate date stamp for their idea! Another example could be uploading an important document like a deed to your house. Remember the document is encrypted so only those you grant access or rights to can access and see it. This decentralized solution is very attractive to those in countries that have untrustworthy governments. Here is where you add content to the blockchain. Sign up for PMES to see all fields! Robin8 Profile Utility Token (PUT) is a cryptocurrency in a digital ecosystem supporting a new wave of social media and eCommerce where we empower everyone with their own data and digital assets on the blockchain. Robin8 gives control of the profile data and digital assets back to the owner. Now everyone has the key to their own data. PMES gives them the capability to easily buy & sell through a decentralized, peer-to-peer network on the blockchain. Robin8 is on a mission to allow everyone to control their data, monetize it, and to decide who gets to use it. This means we solely own our data and digital assets and if we decide not to share it, we don’t have to. If we do decide to share it, we then choose who gets to see it. Digital data has completely consumed everything we do, yet the data is not controlled by the user (e.g. social media). Our data is very valuable making centralized, third-parties (Facebook, Google, Linkedin, Amazon & more) hundreds of billions of dollars every year, yet we rarely see any of this money reach out pockets. Most excitedly, any vertical application can be built on top of the Robin8 PMES platform with PUT as a virtual currency. We have built the fundamental layer of a large-scale profile-based economy that can be replicated in industries beyond advertising. For example, say you sell a WordPress plugin to someone. What prevents them from sharing this plugin with someone else who could use it without paying any licensing fee? Through PMES, digital assets are controlled by the owner (recorded on the blockchain as an append-only public record). Then these assets are then sold using cryptocurrency and accessed via a password key. · gives the asset owner complete control: YOU own your data, YOU set the prices, YOU sell to whoever you want. Sign up to be the first to try PMES — it’s free to register and try on the testnet and the mainnet is also available using PUT cryptocurrency. Robin8 is the leading influencer search engine and marketplace. The company’s key technology is profiling, ranking and matching people down to a science and helping brands find the best people based on big data, AI and blockchain. Robin8 has already profiled over 30+ million people. Robin8 recently launched its Profile Management EcoSystem (PMES) that allows any application to add their profile data on the blockchain. To learn more, please visit www.robin8.com.